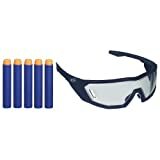 Safety is our #1 priority. We're a US company and test each play set, then test again so you're assured your loved ones play safe. The Grandview twist play set has everything you need in one box. 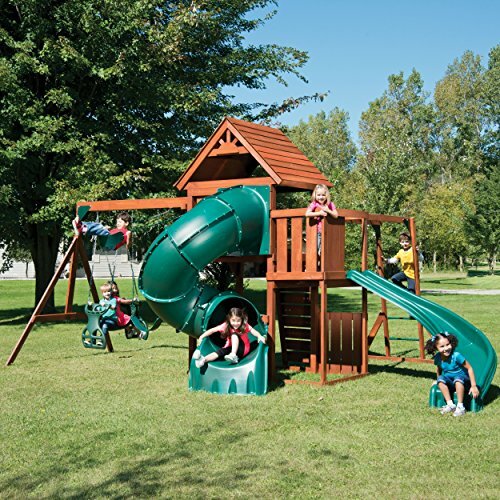 Includes pre-cut premium stained lumber, fast and easy bracket system, 2 slides, rock climbing wall with 6 Climbing rocks and climbing Rope, 2 Swings with UV plastic dipped chain, 2 for fun glider, soaring wood roof with sunburst gable, magnetic chalkboard, rain wheel, and easy to follow instruction manual. The Grandview twist has two deck heights (1) 4 ft. And (1) 5 ft.